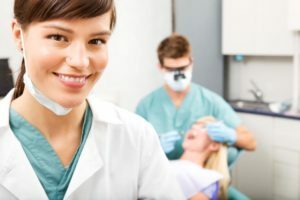 Why is it so important to go to the dentist for dental cleaning? Hi! I hope you are having a great weekend just like me. Being happy is key to have good teeth. Why you may ask? Because of attitude. Without a good mindset you won’t accomplish anything. On the other hand, having a good attitude you will improve and excel in everything you want to do, even dental hygiene. Dental cleaning is like an art, a science. Cleaning your teeth sounds like an easy thing to do, but there is so much more than just that. Many people think that just brushing your teeth is more than enough to have a nice beautiful smile, but the truth is that you need to do other things to achieve that level of white teeth. Brushing your teeth is important, yes, but keep in mind that you need to use other tools to have a good dental hygiene. 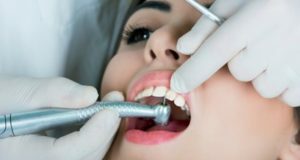 Why is it important to go to the dentist for dental cleaning? Sadly, doing things by yourself such as cleaning your teeth is not enough to keep them in good shape for years. You need to visit your dentist for regular check ups and cleaning at least twice a year. This is really important due to many facts that many patients ignore as I said before. There is so many things you have to keep in mind that you can do to improve your dental health, like changing your toothbrush often, but nothings beats the help of a professional dentist. The first thing to consider is the evaluation. Before your dentists perform a procedure or cleaning to a patient the first thing they do is to evaluate him or her. This is to determinate if you have certain condition and detect diseases to perform a better job or solution to tackle the problem the best way possible. This is a good way to detect certain diseases such as dental caries, gingivitis among others. Usually patients get scared because dentists uses tools that looks painful or intimidating, but you don’t have to worry at all, they are harmless. Besides, most dentists are well trained to use them, especially at Dental Solutions in Los Algodones. Another thing to keep in mind and consider i s the types of cleaning a dental clinic can offer to your teeth. A dentist can perform several kinds of dental cleaning depending on your case. In most cases a simple cleaning is more than enough to get rid of plaque and leave your teeth spotlessly clean. But some patients need the extra punch of a laser cleaning to do the job well done. And for patients with more problems like gingivitis, a deep cleaning or scaling will be the treatment to go so patients can recover their teeth functionality. As you can see getting a cleaning at a dental clinic will put you on the right tracks to the smile of your dreams. Just like the job we do in Dental Solutions in Los Algodones. We strive to please our patients and give them back a reason to smile with beautiful teeth. Besides you won’t get better prices and attention in Los Algodones Mexico if what you seek is 1st class dental treatment.